In general, most of the big name free agents were off the board in the first 2 days of NBA free agency. In a pretty dry market that saw Demarcus Cousins take a $5.3 million contract, it would seem like players would continue to be paid less than their value. However, several restricted free agents got contracts that baffled people around the NBA. To clarify, restricted free agents are essential players who have expiring contracts, but the team who previously had them has the right to match the contract they sign with another team. For example, if I was a restricted free agent after playing with the Mavericks for 3 years, I could go out and sign a contract with the Lakers. The Mavericks then would have the opportunity to match the contract I had signed with the Lakers to keep me on their team. Restricted free agents often can make more than their value because teams will overpay them so that their previous team will not match the contract. A lot of times, however, teams will have to bite the bullet and sign match contracts because they love the player and cannot imagine them not being on their team. Naturally, these kinds of deals can come back to haunt them. Here is a couple of the questionable restricted free agent deals. Zach Lavine went out and grabbed a massive 4 year, $78 million contract from the Sacremento Kings. Lavine was traded to the Bulls in 2017 in the trade involving Jimmy Butler. Sure, he was what the Bulls got out of their all-star player who wanted to be traded, but Lavine has struggled to stay on the floor. He has only played in about 43% of the games in the past 2 seasons. His best year was in 2016 when he averaged 18.9 PPG, 3.4 RPG, and 3.0 APG. However, that year he averaged 37.2 minutes per game and was a key offensive weapon for the abysmal Timberwolves. To me, this seems like a bit of a stretch for the Kings to agree to this contract, and even more of a surprise that the Bulls matched it. Lavine’s game is based on his athleticism, and if he can’t seem to stay on the floor at the age of 23, he’s going to have issues going forward. The Bulls just might have wasted $20 million per year on a guy that can barely stay on the floor. Even if he does stay on the floor, it is very likely that the torn ACL from February of 2017 will affect his explosiveness. I expect the Bulls to regret this decision, as it will hinder their ability to be flexible in free agency. The Grizzlies gave Anderson a 4 year, $37 million contract that the Spurs are very unlikely to match. 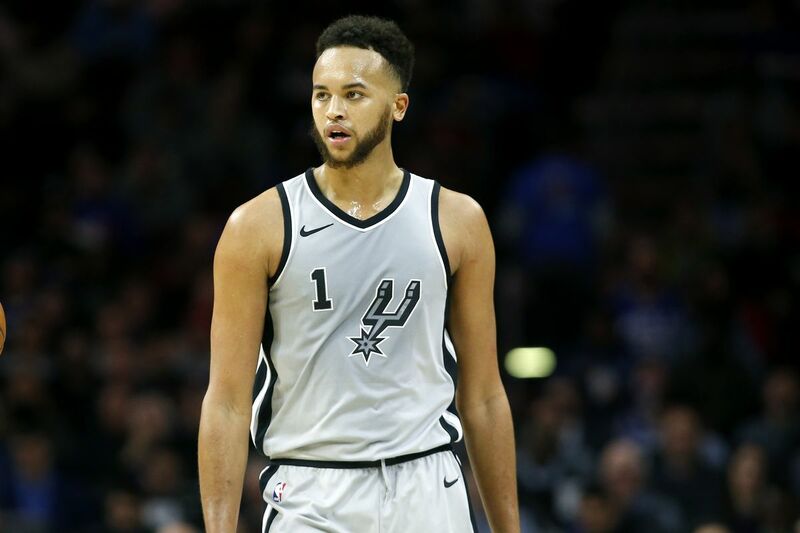 Kyle Anderson was a benchwarmer for the Spurs since he entered the league in 2014. With the Kawhi situation, he found himself thrown into the fire, as he saw his minutes doubled. Playing 26.7 minutes per game, he averaged just 7.9 PPG, 5.4 RPG, and 2.7 APG last season. Needless to say, giving him more minutes did not pan out well for the Spurs. In most cases, players like Anderson thrive in the San Antonio system as Popovich seems to get the most out of guys like him. For the Grizzlies, they have just added close to $10 million per year for 4 years on a player who the Spurs couldn’t even get much out of. If the Spurs aren’t going to match the contract, that just goes to show that they didn’t care for him as a player anyway. Dwight Howard snagged a 2 year, $11 million deal with the Wizards to team up with Bradley Beal and John Wall in Washington. 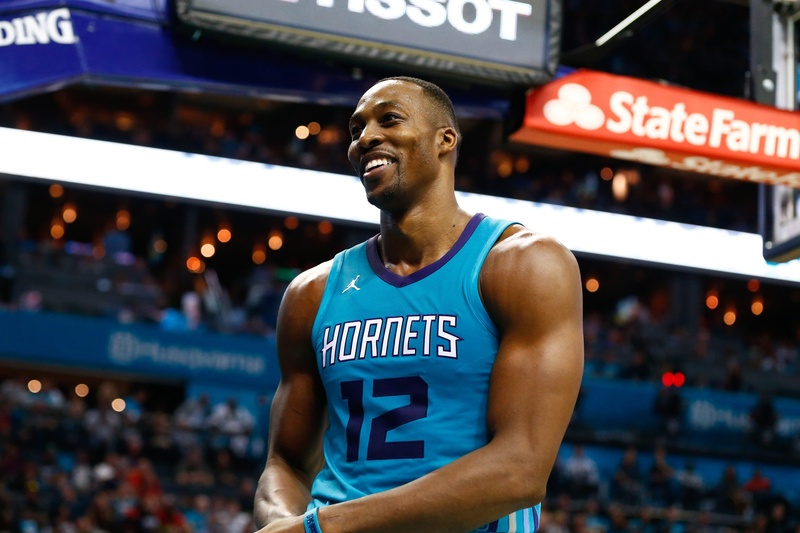 Howard had the best year since 2013 in his tenure with the Hornets, averaging 16.6 PPG and 12.5 RPG. At 32 years old, Howard is still a tremendous option at the center position in the right system. It’s clear that Howard can still play, but teams need to utilize him in the low post to get the best out of him even though the modern NBA is straying away from that play style. I expect John Wall’s incredible passing ability and Bradley Beal’s ability to spread the floor to give Howard some easy looks at the rim. Look for a lot of lobs from John Wall to Howard. If Howard can play well, and their best players can stay healthy, this could be a competitive team in the Eastern Conference. The Hornets grabbed veteran point guard Tony Parker from the Spurs on a 2 year, $10 million deal. Frankly, Parker has fallen off a cliff. Last season, he only averaged 7.7 PPG and 3.5 APG. In just a few seasons, his FG% has dropped by about 5% and his efficiency has halved. The future Hall of Fame player seems to be in the final stretch of his career. As things seem to fall apart in San Antonio, it seems like a good situation for Parker to backup Kemba Walker in Charlotte and be a veteran presence in the locker room for a team that needs help. It will be weird to see Parker in a non-Spurs uniform, but I expect this to be a nice fit in Charlotte. However, don’t expect the impact to be in the box score, but on the education of younger players like Malik Monk. Black text indicates a retained player, red text indicates an acquired player.